-- Josephine Lilliwhite, a middle-aged woman with a quiet demeanor and a curious past happened upon love and motherhood late in life. In her early forties, she found herself starting over with a new love, a new home, and a second son on the way. It seemed she’d finally found herself a little bit of that light she’d only felt while watching the old movies she was so fond of. Upon hearing about Josephine’s newfound joy, her jealous ex fills with an anger that can only be drained by her death. With a promise and a lie he lures her to the edge of town. As he whispers, “Congratulations” into the forgiving ear of his former flame, he spits out a bullet from his unforgiving gun. As Josephine lay there seeping into the dirty-sugar sand, she makes a promise to not empty out, to not end. She makes a perfect vow to her sons and to her love to begin. To rise. To ignite. To reign as the Outlaw King. 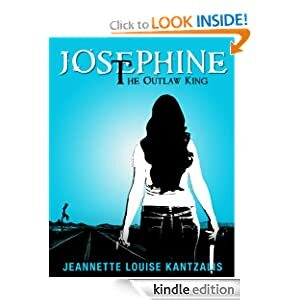 A true royal of the new and wildest west, Josephine finds her courage in the pulpy noir-ish underground of the southern California haunts she grew up around. She slithers and soaks into the shadows of the the biker bars, the betty brothels and the borrowed beds of the truly broken-hearted. There, she heals anonymously until she’s ready to take back the kingdom that is rightfully hers. 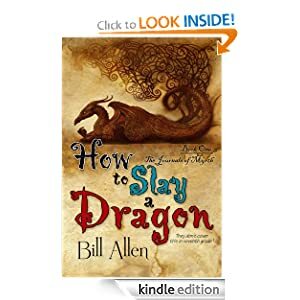 -- Greg Hart can't slay a dragon. He'd be lucky to win a fight against one of the smaller girls at school.His only real skill is that he can run faster than any other twelve-year-old boy in his class, a necessity, since that's who he's usually running from. Oh, it's not like he's never been the hero at the center of an adventure. It's just the kind of adventures he's been involved with have always been the made-up kind he's written about in his journal. 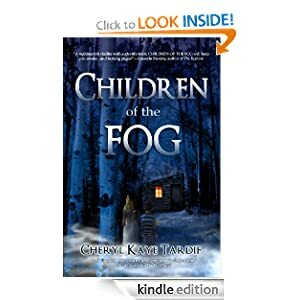 Now the magicians of Myrth have yanked Greg into a strange new world, where the monsters he must run from are far scarier--and hungrier--than anything he's ever run from before. He tries to tell everyone there's been a mistake. Ruuan is a very large dragon, while Greg, on the other hand, is neither large nor a dragon. He's barely much of a boy. Unfortunately, such trivialities could never stop the people of Myrth from believing Greg will rescue King Peter's daughter from Ruuan. After all, Greg has been named in a prophecy, and no prophecy has ever been wrong before. -- Sadie O'Connell is a bestselling author and a proud mother. But her life is about to spiral out of control. After her six-year-old son Sam is kidnapped by a serial abductor, she nearly goes insane. But it isn't just the fear and grief that is ripping her apart. It's the guilt. Sadie is the only person who knows what the kidnapper looks like. And she can't tell a soul. For if she does, her son will be sent back to her in "little bloody pieces".